The Bernard Shaw is very famous for its atypical place. You must have heard of this place before, as it is incredibly warm and lively. Outdoors areas, Big Blue Bus, and a background of music, everything is good to spend a good time with a ginger beer and friends! Their Flea Markets are also well-known, creators and vintage are the leading characters. 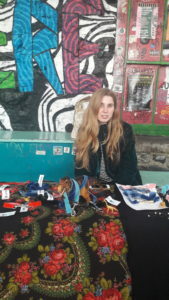 As December has arrived The Bernard Shaw and their partners launched their Christmas Flea Market on the 2nd of Decemeber, with many creators of sweaters, perfume, jewellery and of course vintage clothes. The Circular went to this event to produce a video for you and talked to one of the creators. 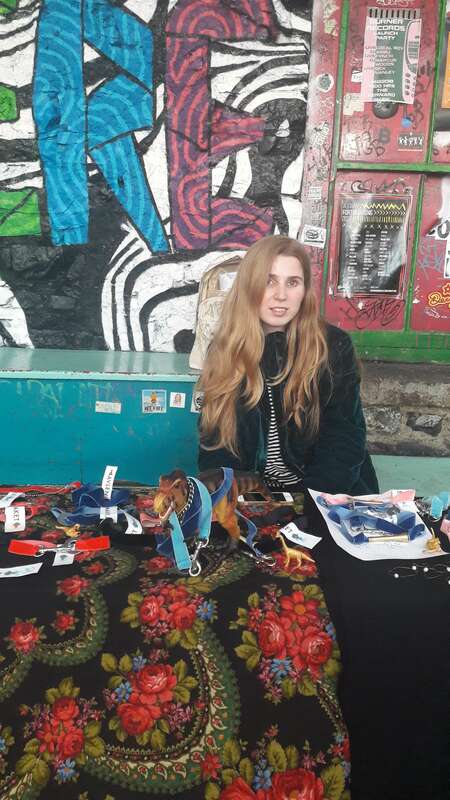 Coming straight from Moscow this young art student exhibited her new jewellery collection at this market. She creates accessories with velvet and rough chain. The main characteristic is that you can do whatever you want with it, you can make a wristband or a necklace or even put it on your bag for fashion. Very atypical and new jewellery, this simple and modern velvet allows you to wear it with everything! Now that you have been introduced to one of the creators, here is a video of the event that will place you in the atmosphere of this event! Get ready for a hipster artistic atmosphere!